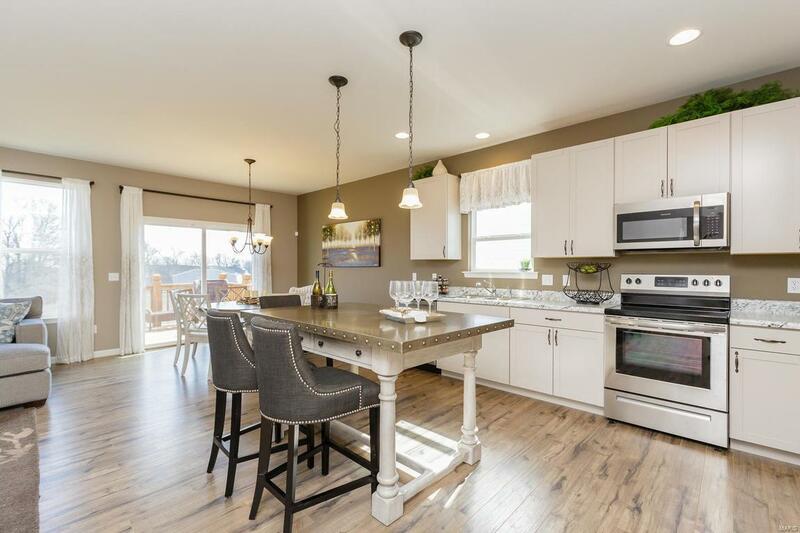 Low Maintenance, Carefree living by Payne Family Homes! 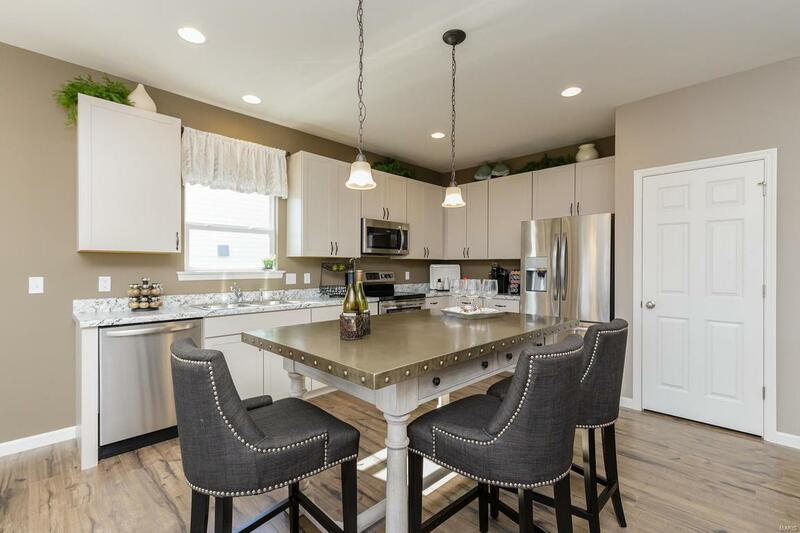 Enjoy exceptional luxury, top selling features & extraordinary finishes in this 1,746 s/f home in Cordoba, an intimate community of 51 detached villas w/abundant common ground, a small private lake w/fountain, walking trail & a community park. 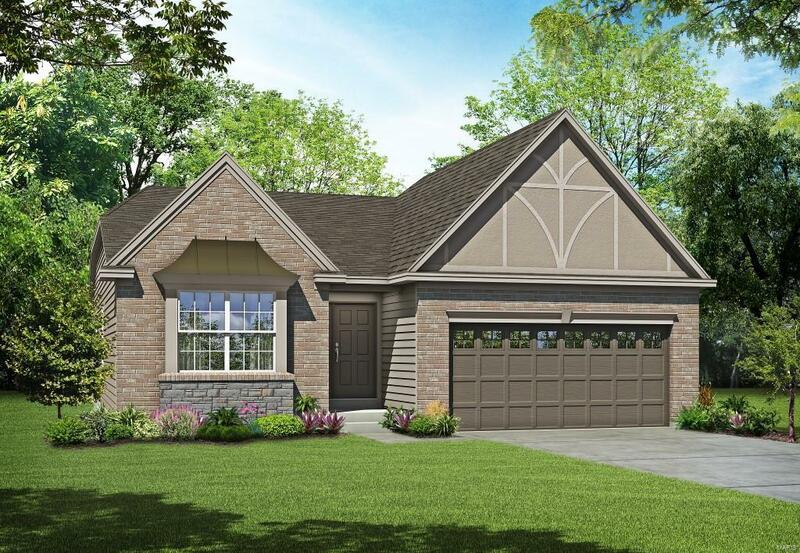 The curb appeal is exquisite w/brick-stone, coach lights, arch shingles, prof landscape, full yard sod & lawn irrig. 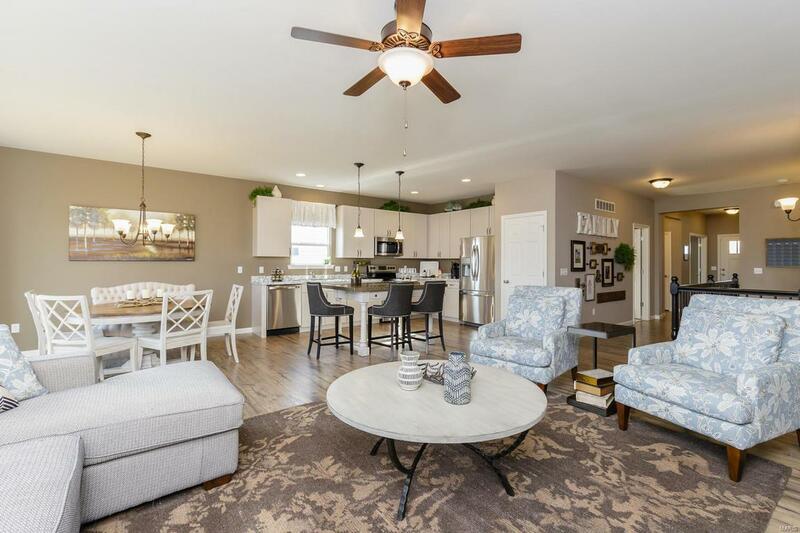 Enjoy 2 BD (plus a Den/Study), 2 BA, 9 clngs, an open flr plan, gas FP, wood laminate flooring, wr iron stair balusters, Deluxe Kit, 42 cab w/hardware, an oversized island, Quartz c-tops, st steel appl, tile b-splash, gas range, transom windows in the Caf, dbl bowl vanity in the Mstr Bath, marble shower w/seat in the Mstr, wave bowls in both baths, 50 gal water htr, Jeld Wen Low E windows, cust wall paint, garage door opener, upgraded carpet & pad in the bdrms & low profile LED clng lights. There is easy access to Hwys 364, I-70, 40/61, shopping, recreation & restaurants.